With this tough, efficient and performing chassis equipped with a powerful 26cc engine, you will learn about 1/5 scale R/C and take your first steps in competition. 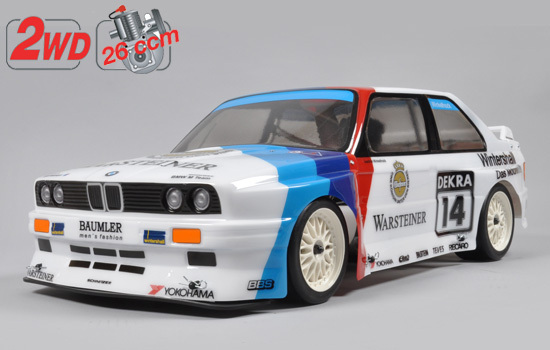 And you will be at the command of the legendary BMW M3 E30 ! It is possible to upgrade your Challenge Line thanks to the many options available. The ideal way to step into the FG universe ! • Neither transmitter batteries, nor receiver battery.